The IUCAB International Agent of the Year “George Hayward Award” was created by the Executive Committee of IUCAB following the passing away of George Hayward, the first elected US Vice President of IUCAB, in May 2009. Mr. Hayward was the founder of United Sales Associates, an agency business firm in the safety/industrial market place which he started in 1982, based in Cincinnati, Ohio, USA. He was the recipient of dozens of awards and recognition for outstanding service by the many associations in which he participated. He gave much of his heart, time and friendship to everyone in our profession and was one of the most involved and engaged agents, doing so selflessly. Mr. Hayward served IUCAB as Vice President from 2001 until 2008 when he made his farewell speech at the IUCAB Annual Delegates Meeting in Berlin. The “George Hayward Award” was created in honour of his unsurpassed dedication to ensuring quality performance of commercial agents and his passion and persistence for continuing education. Nomination forms for the IUCAB International Agent of the Year “George Hayward Award” are sent to the national member associations of IUCAB. Each national association is requested to select a nominee among their own membership and return a duly completed nomination form to the IUCAB Secretariat. The Executive Committee of IUCAB will select the winner of the award from all nominations received from the national member associations. The IUCAB International Agent of the Year “George Hayward Award” was created to honor the quality and the performance of commercial agents. In March 2018, the Executive Committee (ExCom) of IUCAB came together in Chicago, USA. During the meeting, ExCom selected the winner of the IUCAB International Agent of the Year 2018. Various applications have been received from the IUCAB Member Associations and votes were cast by the Members of the IUCAB ExCom at the meeting in the United States. It has been a very close race between the various nominees. 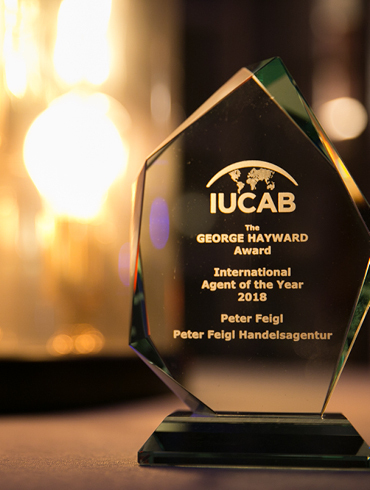 During the IUCAB Delegates Meeting, which was held on 18th May 2018 in Turin, Italy, the 9th George Hayward Award was handed out to Peter Feigl, owner of the agency Peter Feigl Handelsagentur (Austria). He is successfully working in the field of paints, varnishes and industrial adhesives. 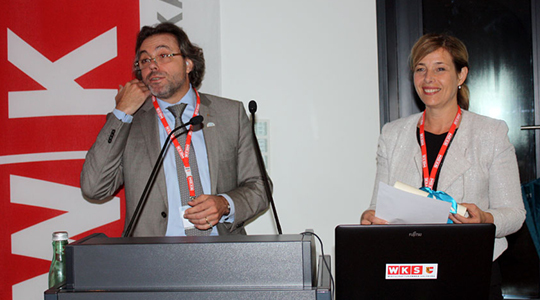 His agency is the market leader in Austria in the field of painting of agricultural machinery. In his acceptance speech, Mr. Feigl used a fox as a symbol for the commercial agent. The fox has to search for food on a daily basis and does not regularly receives food but he is free and can determine his own success. On the other hand, he compared the sales employees to a dog on a chain, which receives regular food on the plate but is not free. IUCAB congratulates the winner with the company’s achievements. In March 2017, the Executive Committee (ExCom) of IUCAB came together in Brussels, Belgium. 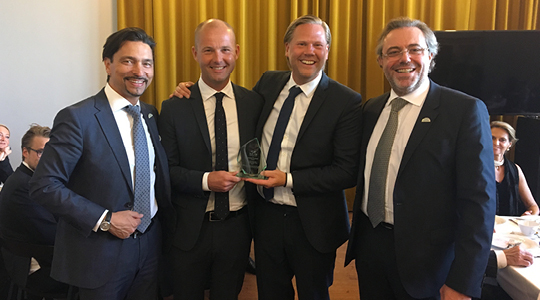 During the meeting ExCom selected the winner of the IUCAB International Agent of the Year 2017. 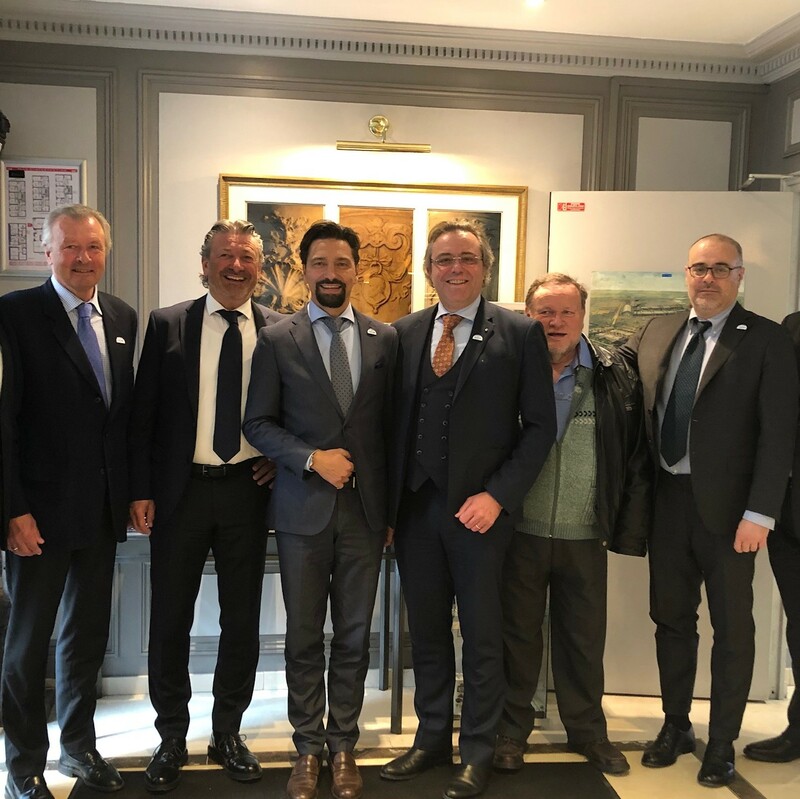 Various forms have been received from the IUCAB Member Associations and votes were cast by the Members of the IUCAB ExCom at the meeting in Brussels. It has been a very close race between the various nominees. During the IUCAB Delegates Meeting which was held in Heslinki, Finland, the 8th George Hayward Award was handed out to Hans Lindeblad and Martin Wendin, owners of the agency Lindeblad & Wendin AB. They are successfully working in the field of Men’s fashion such as Calvin Klein Underwear, Calvin Klein Swimwear, Tommy Hilfiger Underwear and Bruun & Stengade. On Friday, February 26th 2016, the Executive Committee (ExCom) of IUCAB had its spring meeting in Lyon, France. One of the items on the agenda was the selection of the winner of the IUCAB International Agent of the Year “George Hayward Award” 2016. 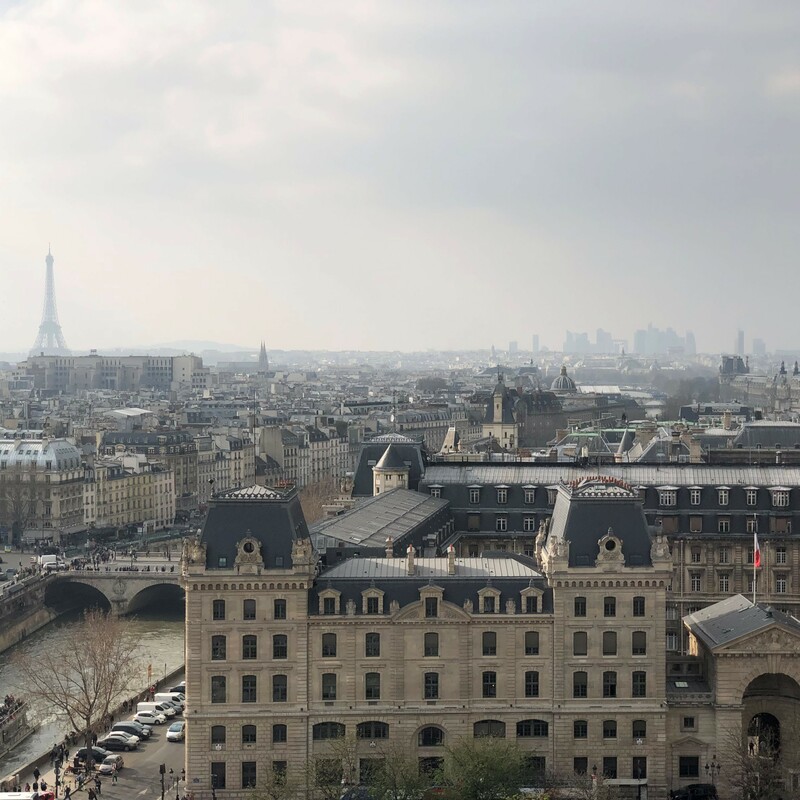 Various forms have been received from the IUCAB Member Associations and votes were cast by the Members of the IUCAB ExCom at the meeting in Lyon. It has been a very close race between the various nominees. The winner of the 7th “George Hayward Award” is Walter Dittmann, Director and owner of Diwa Sweet. Mr. Dittmann has been chosen for several reasons. He is very successful with a young company resulting in a steady growth of the company earnings. Moreover Mr. Dittmann delivers additional commercial services and invests in the employees who are obviously part of his success. IUCAB wishes Mr. Dittmann all the best and ongoing success with his company! He received the award during the Delegates Meeting which took place in May 2016, Malaga, Spain. On Friday, March 13th 2015, the IUCAB Executive Committee (ExCom) had its spring meeting in Oslo, Norway. After careful examination and consideration of the various forms received from the IUCAB Member Associations, the 6th “George Hayward Award” was won by Xavier Mailfert, director and owner of Prodium. Mr. Mailfert had been chosen because he is a commercial agent who has been able to grow his commercial line in the past three years. The fields of business Mr. Mailfert is working in are: industry, metallurgy, plastics and electronics. Mr. Mailfert has invested in training and marketing which has resulted in being such a successful agent. The “George Hayward Award” has been handed over during the IUCAB Delegates Meeting and Congress which took place in Warsaw, Poland, on May 14th, 15th and 16th 2015. IUCAB congratulates Mr. Mailfert and wishes him a prosperous future! In March 2014, the Executive Committee (ExCom) of IUCAB came together in St. Albans, United Kingdom. During the meeting ExCom selected the winner of the “George Hayward Award” out of various candidates from different IUCAB Member Associations. 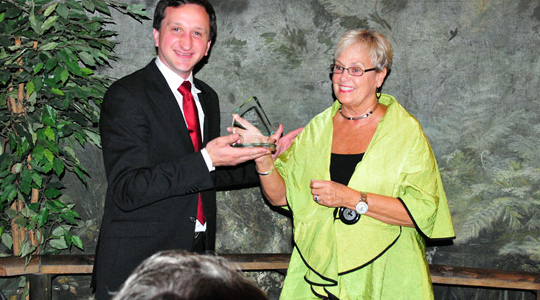 During the 61st IUCAB Delegates Meeting, which was held in Ljubljana, Slovenia, that year, the 5th “George Hayward Award” was handed out to Jasna Triller, Director and owner of IDentiks Card Systems (www.identiks.si) by Olivier Mazoyer, IUCAB’s new President who was elected at the same meeting. The core business of Mrs. Triller consists of identification solutions and ID cards (PVC cards, USB keys, ID accessories, PVC card accessories). Mrs. Triller also works for foreign principles from the countries Croatia, Italy, Poland, Serbia, Bosnia and Macedonia. Mrs. Triller had been chosen especially since she has been able to expand her business steadily during the economic recession. 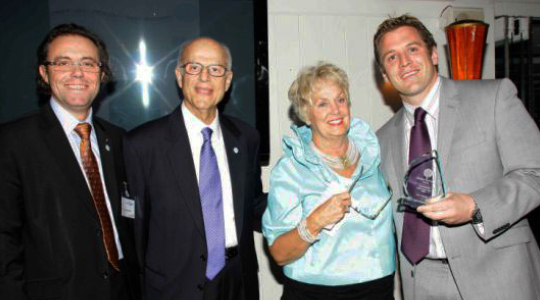 IUCAB congratulates Mrs. Triller with the company’s achievements. 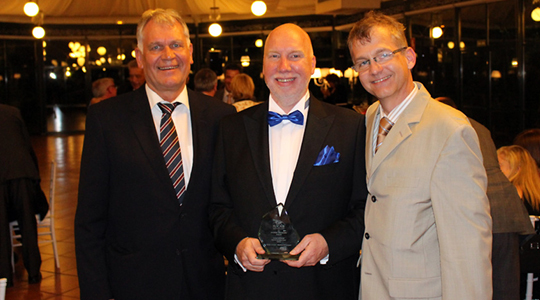 The “George Hayward Award” 2013 was won by Philip Hallerfelt, member of IUCAB’s Swedish Member Association SAA. 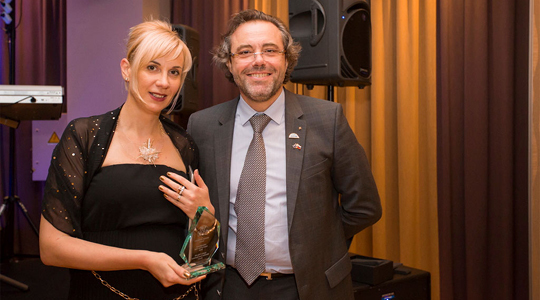 The Award was presented to Helena Waker, CEO of the SAA, by IUCAB Vice President Olivier Mazoyer. 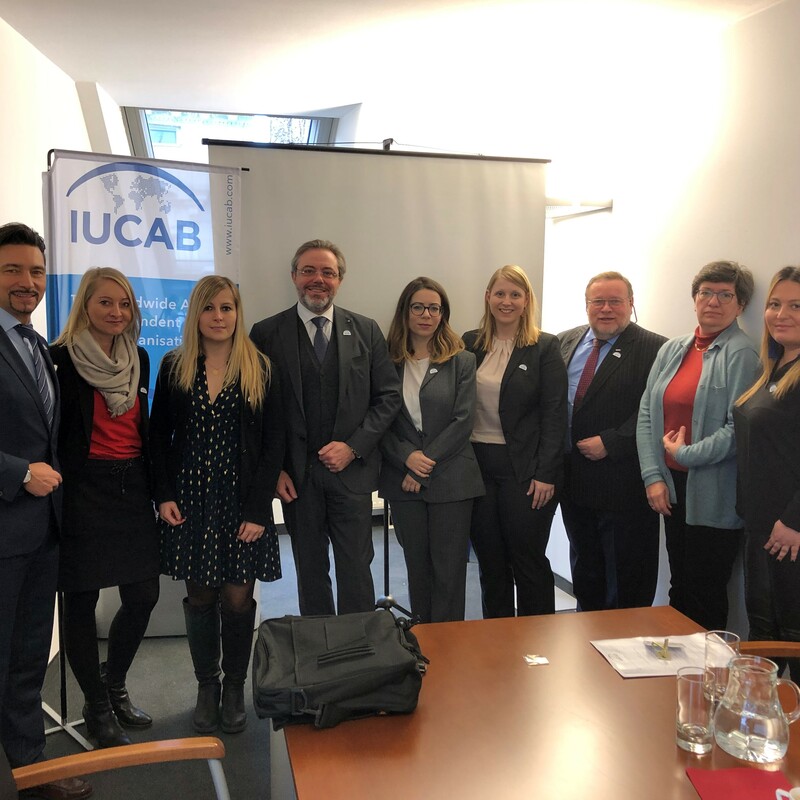 The presentation took place at that year’s Annual Delegates Meeting in Salzburg, Austria, which also marked the 60th Anniversary of IUCAB. Unfortunately Philip Hallerfelt was unable to attend the presentation of the Award due to business travels. Philip Hallerfelt is a young commercial agent but already the recipient of International Awards in recognition of his ability to create new markets for his exclusive shoe brands in the Nordic countries. IUCAB congratulates Philip Hallerfelt with his achievements and hopes that he will continue to serve as an example of excellence in the profession for the new generations entering into the profession. 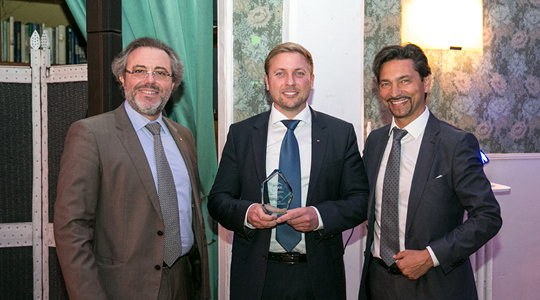 The French Agency Firm Repinco SARL was announced as the Winner of the 2012 “George Hayward Award” during the Annual Delegates Meeting 2012 of IUCAB earlier this year in Méry sûr Oise, France. Marc Pescheux, Managing Director of Repinco, proudly received the prestigious Award from Mo Hayward from Cincinnati, Ohio, USA. Repinco are specialists in the forge and foundry business and generally recognised for its skills and experience in the industry. They are a Member of the French Association APAC. 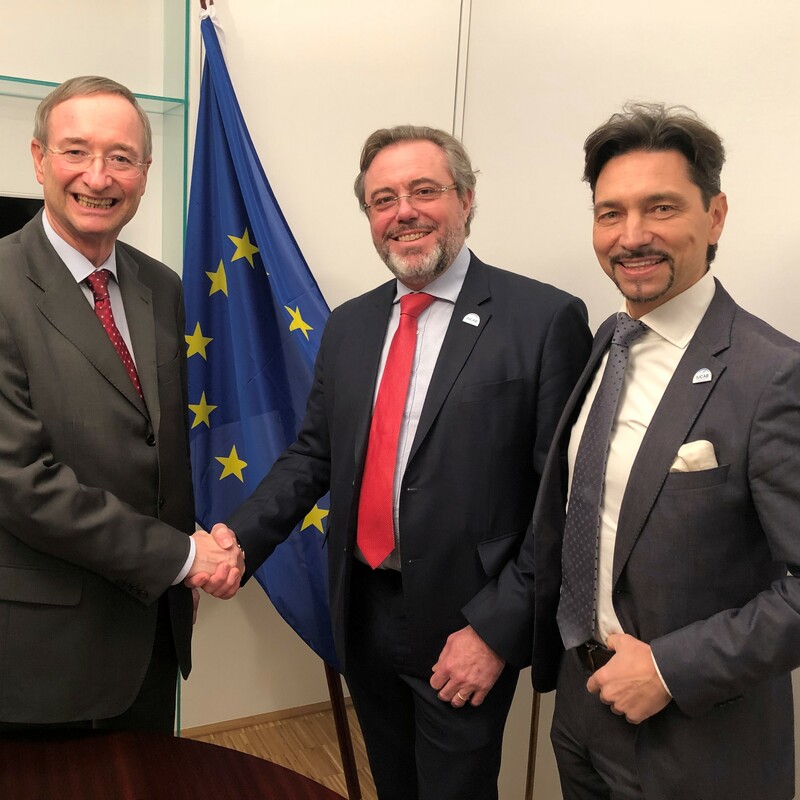 The mission of Repinco is to promote and commercialise tailor made forge and foundry products and processes developed by their principals which include Marcora and Fondinox. The company was founded in 1981 and is headed by Mr. Pescheux since 2008 (www.forge-et-fonderie.com). The “George Hayward Award” is a prestigious recognition of commercial agency firms which excel in the execution of an agency business and contribute to a continued increase of the services and the quality of the service provided by commercial agents. 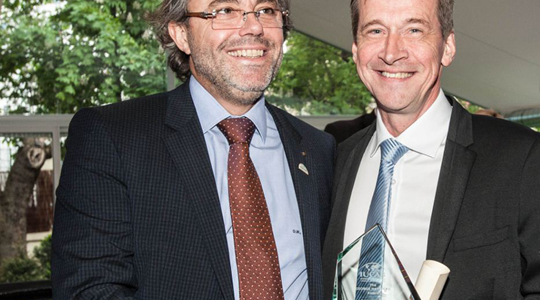 IUCAB congratulates Repinco and its CEO Mr. Pescheux with the company’s achievements. 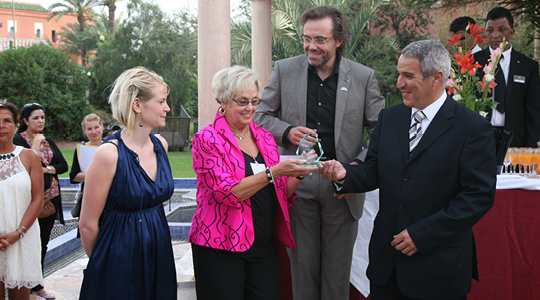 On the occasion of the IUCAB International Congress 2011, which took place in Marrakech on June 3rd 2011, the “George Hayward Award” 2011 (IUCAB Commercial Agent of the Year) was presented to that year’s Winner, the Swedish commercial agency firm NonStop Agenturer AB based in Stockholm. The Award was presented to Camilla Kock, Managing Director of NonStop Agenturer AB, in the presence of Mo Hayward and Olivier Mazoyer, President of the French IUCAB Member Association APAC, which hosted that year’s Annual Delegates Meeting and International Congress of IUCAB. NonStop Agenturer AB has demonstrated a very successful succession in the company, broadening the target group and realising a remarkable growth in sales (www.nonstopagenturer.se). Key success factors of the agency business of NonStop Agenturer AB are the constant focus on the customers, broadening the target groups of both endusers and retail stores and offering service to principals and customers on a 24/7 basis. The first IUCAB International Agent of the Year “George Hayward Award” was won by Peter Massey, member of IUCAB’s UK Member Association MAA. The Award was presented to Peter Massey by the wife of Mr. Hayward, Mo Hayward. The presentation took place at that year’s IUCAB Annual Delegates Meeting in Athens, Greece, on May 21st 2010. Mr. Massey started to trade as White Rose Agencies in the year 2000. His company has a well balanced spread of business between six Principals. White Rose Agencies aim to meet and exceed customer expectations. They are a family run business that understands the importance of service and reliability. Their synergistic selling approach coupled with their longstanding customer relationships offers their principals many advantages and hidden opportunities that are not possible with employed sales representatives. They are passionate about sales and their association with professional manufacturers and quality products. Their vision is to become associated with growth markets e.g. energy saving, and as such a significant proportion of their turnover is now dedicated to this market sector in which they represent the largest energy saving lamb producer in the world.